﻿The inability of wounds to heal normally is a major health problem globally, and in the US alone chronic wounds affect over 6.5 million people resulting in annual treatment costs of over $25 billion. In developed countries, it is expected that approximately 1-2% of the population will experience a chronic wound during their lives. Unfortunately, the burden is growing rapidly due to an aging population and a sharp rise in the incidence of diabetes and obesity worldwide. The Danish wound care startup ReApplix has developed an easy to use device, called LeucoPatch, and a process that offer autologous active cell therapy to help heal wounds. 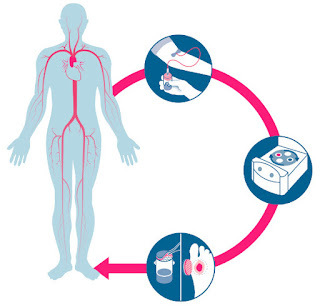 The device produces a triple layer patch from the patient’s own blood, without any addition of reagents or additives, which is applied directly to the surface of the wound to deliver active cells and growth factors key to healing. The device is based on the idea that blood circulation is impaired in chronic wounds due to nerve damage, as in diabetic foot ulcers where patients often have neuropathy. As a result, blood components are prevented from reaching the wound to clear infections and orchestrate the healing process. 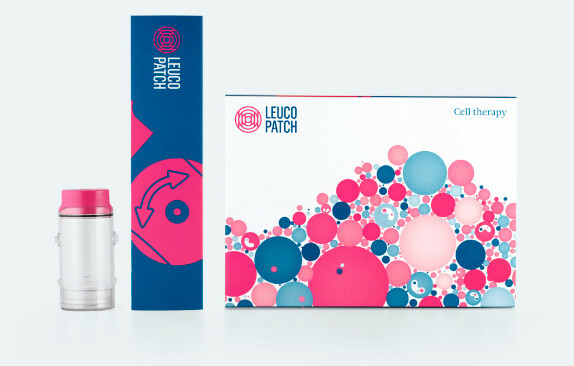 The three-layer LeucoPatch provide immune cells, platelets and growth factors to re-establish an optimal healing environment. The first layer of the Leucopatch consist of fibrin, which provides moisture retention and structural integrity, making handling and application easy. The second layor consists of 3 billion platelets providing high growth factor levels, while the last layer consists of leucocytes which orchestrate the healing. The entire process consist of three simple steps. First the patient’s blood is drawn directly into the sterile device. The device is then combined with the LeucoPatch 3CP Centrifuge to separate cells, growth factors and signaling substances in only 20 minutes. The patch is then applied directly to the patient’s wound. The performance of the patch was evaluated in a prospective multicenter cohort study as a treatment for diabetic foot ulcers, which found that 59% of the ulcers healed at 20 weeks with mean time to complete healing was 11 weeks. An ongoing study also evaluate LeucoPatch on diabetic foot ulcers with probe to bone, where current results show that 58% of the wounds complete healed. The startup has been able to develop an innovative solution to a growing healthcare problem. The global wound care market is expected to grow significantly the next few years, and investors have shown great interest in the Leucopatch. The company has raised close to DKK 50 million from Seed Capital, Vækstfonden and Novo Seeds. If you want to know more about their clinical trials, take a look at the trials' website.